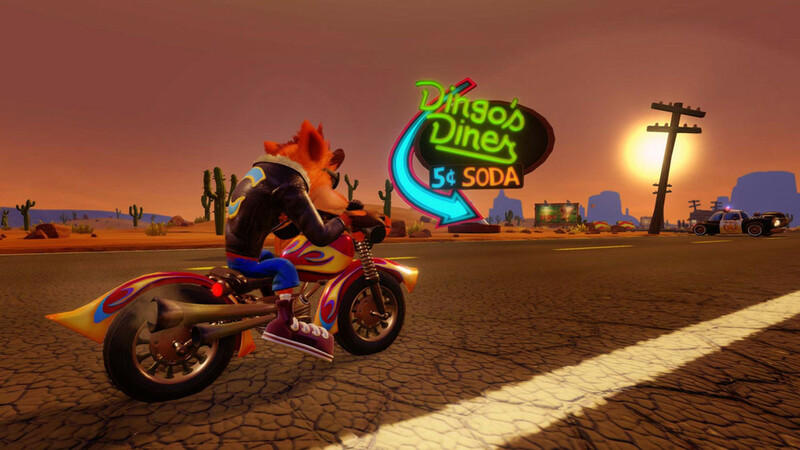 Baz checks out Crash Bandicoot N. Sane Trilogy, a nostalgia-fuelled shot-for-shot remake of three Naughty Dog classics from Skylanders studio Vicarious Visions. Muscle memory kicks in as I jump from lily pads to logs down a piranha filled river. All of a sudden I am six again, surrounded by the hippest games of the '90s in the Cobb & Co. kid’s area. My legs are dangling off the side of a too-high stool, and my tiny hands are stretched to their limits as I journey through a tribal settlement as a manic-looking orange rat. I mean, what six-year-old knows what a bandicoot is? Now, 20 years later, those memories flood back as I play the same Crash Bandicoot trilogy remade for the PS4. On the first level I am beaming – it is everything I remember. By the 10th level, my smile has started to falter as it dawns that my fond memories were of a game made 21 years ago. That isn’t to say that these games aren’t still great fun – they were and remain a bloody good time. Rather, my faltering smile comes from a growing realisation that besides completely remade graphics, developer Vicarious Visions has left the core mechanics, layout and physics almost exactly as they were in the '90s – including every annoyingly spaced jump, poorly timed obstacle and oddly placed checkpoint. In some ways, Vicarious Visions should be applauded for how faithfully it managed to recreate the exact look and feel of these games. The studio meticulously buffed and polished every pixel, and then placed them right back in their original spots. My question is… why? Why ignore 20 years of game design, in which generations of developers have continued to develop the principles of great platforming? I understand the developers don’t want to upset fans of the series by changing its core tenets. But if older games are going to continue to be remade in this fashion, we need to realise that gameplay often needs polish as much as graphics do. If Vicarious Visions can update the visuals without losing the series signature aesthetic, why can the same not be achieved in polishing the rough edges of gameplay? Ultimately, this is an issue of creating a remake, rather than a judgement of the games themselves. The original Naughty Dog trilogy actually holds up surprisingly well, particularly in terms of style. The games remain hilariously manic and off-the-wall, making me question if my warped adult mind may have in fact resulted from Crash Bandicoot 3: Warped. What these games do so well is variety, mixing together so many different approaches to gameplay into one cohesive package. You go from jumping up a river, to running away from boulders, to riding a pig, all within a few levels. More impressive for the time is how the game mixed so many different perspectives into each level. It shifts from over the shoulder to side-scrolling and back again so seamlessly that most of the time you don’t even recognise it. This keeps things dynamic and interesting, and I would guess that without this variety, these games wouldn’t stand up on any one of their components. But as a collective, these gameplay styles and perspectives combine into something really fun. The games' central pillar of platforming does not hold up well by modern standards. When considered beside something like the new Rayman games, it is clear that the Crash games rely more on manufactured difficulty than complex mechanics or skill. The moments you die most frequently are not cleverly designed challenges, but platforms placed just too far away. This makes just getting through levels frustrating, and the ‘No Death’ challenges downright infuriating. These issues are exacerbated by some appallingly long load times. Just booting the game takes almost two minutes, with a series of unskippable ‘brought to you by’ screens leading straight into a loading screen. Booting in and out of levels takes a disproportionate amount of time also – just loading the level select screen takes more than 30 seconds. I can think of no good reason that loading a level screen on a platformer should take that much time when many open-world games these days have no loading screens at all. Where this becomes totally unacceptable is how tedious it makes challenges such as the ‘No Death’ run. Levels have no restart button, which means if you die when trying to achieve this challenge, you need to crash to the level screen and load back in, which takes almost a minute. My time playing the three games in N-Sane Trilogy was a nostalgic romp through some very formative memories. But I couldn’t help wonder how well it would stand up in 2017 without this nostalgia. My guess: if any one of these games was released for the first time this year, they would be treated similarly to how Knack was upon launch. People would applaud the charming ideas and style, but and criticise the lack of polish and reliance on basic mechanics. All in all, I think anyone with memories of this series will have a great time on nostalgia alone. It is worth a play just for the experience of diving back into this world with its beautifully re-rendered graphics. But I can see newcomers and those without nostalgia for the series quickly becoming frustrated with many of the antiquated mechanics and rough edges present here. Naughty Dog has been done proud. These games demonstrate how innovative the developer was even decades ago with its unique approach to camera-work, level design and overall tone. 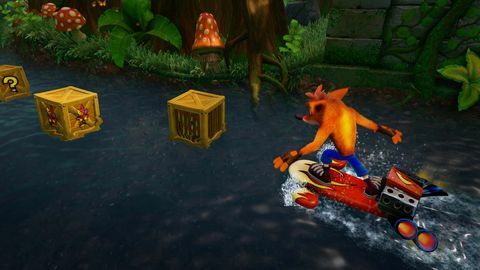 It is Vicarious Visions that's at fault for this collection's pitfall. Its decision to leave gameplay largely untouched is questionable, but the overall lack of polish on the package itself is inexcusable – especially since it is charging NZ$90 for shinier versions of three decades-old games. 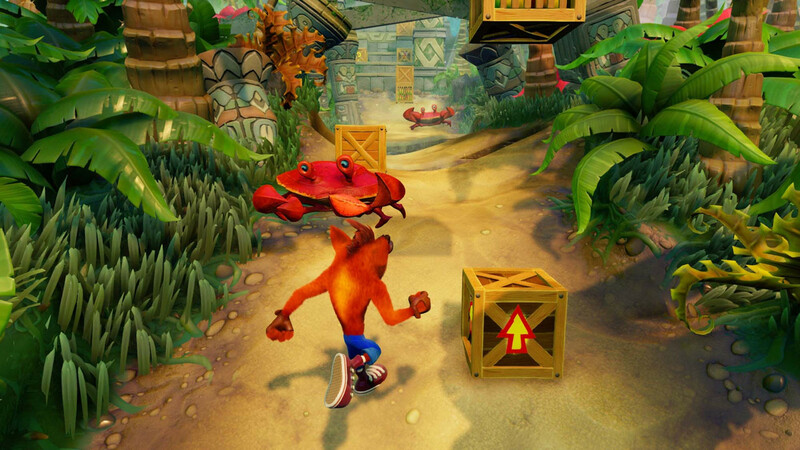 With Crash Bandicoot: N-Sane Trilogy, Vicarious Visions bring a nostalgia-rich but polish-poor Crash Bandicoot from the '90s into 2017. Ups Charming style and tone. Stunning graphical overhaul. Gameplay variety. 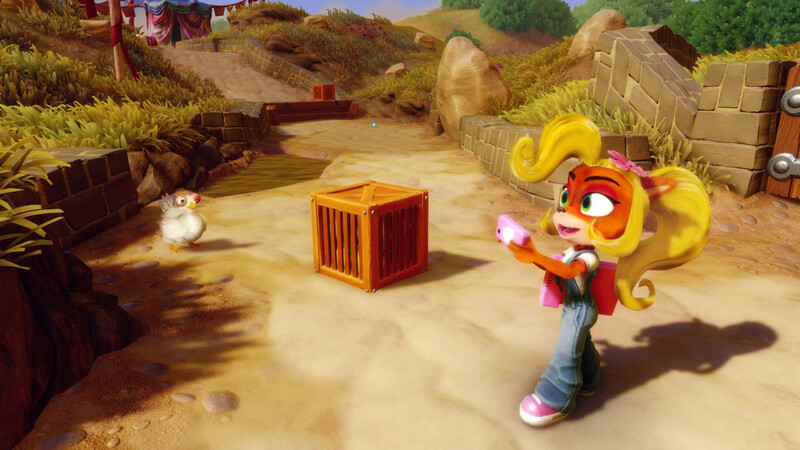 Coco is now playable in all three games. Downs Lack of gameplay remaster. Long load times. Overall lack of package polish.